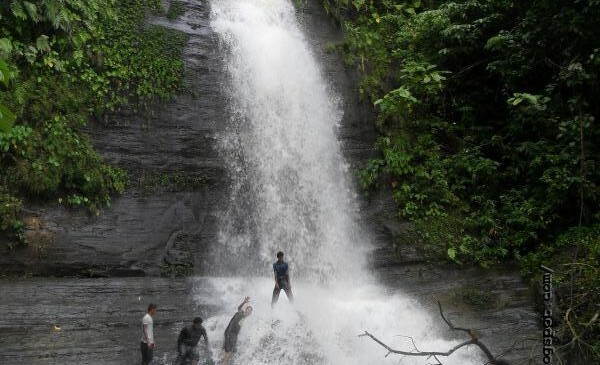 After enjoying the second step/lower falls of bewitching Toiduchara Waterfall (তৈদুছড়ি ঝরনা), you can pass through an adventurous cliff and reach at the first step/upper falls of the Toiduchara Waterfall. This is known as Toiduchhori Jhorna-2 (তৈদুছড়ি ঝরনা-২) to us, and Kasing Jhorna (কাসিং ঝরনা) to the local Tripura (ত্রিপুরা) tribe. The height of this waterfall is slight bigger than the previous one. But to my judgement, previous one was more delicate than this one. 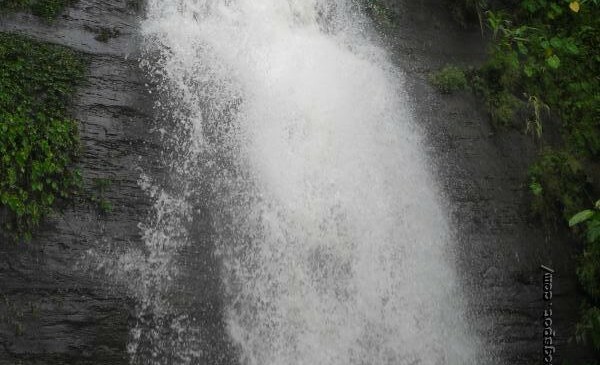 Water of this Kasing Jhorna falls over a ‘stair like’ place beneath the waterfall and splashs all around. It was over 4:00 at the afternoon when we were wandering around the waterfall. If you want to know how to go, here are few suggestions for you. 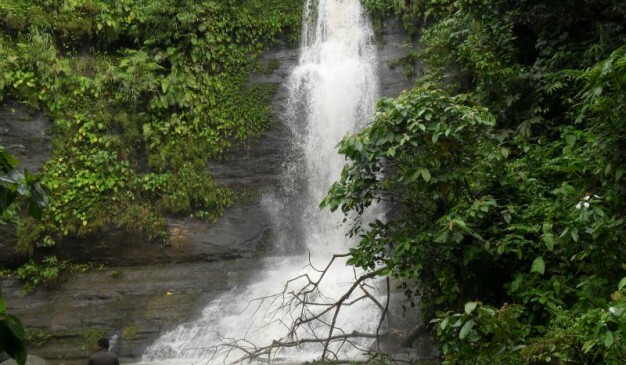 1) It is possible to visit both the waterfalls in same day. But it’s quite harder for irregular trekkers. 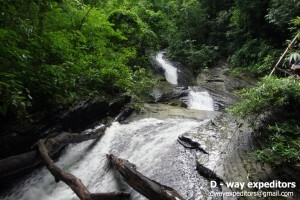 For those, you can visit the two waterfalls in two days. 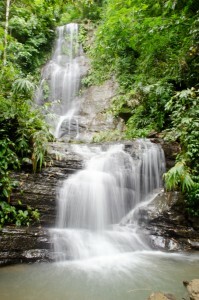 Each of the waterfalls is having a separate route. 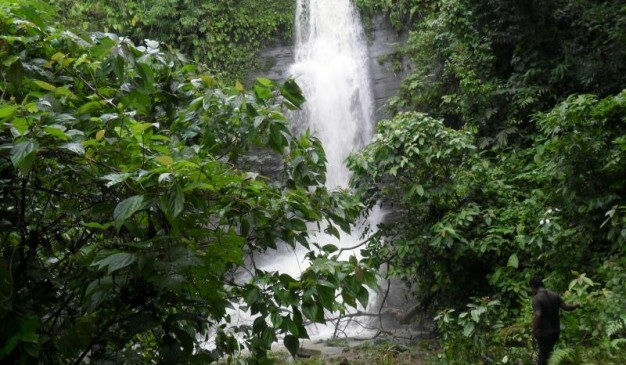 a) From Toidu Para (তৈদু পারা), its 1.5 hours walking distance to the Upper falls/Toidu Jhorna-2. This path is easy to handle. 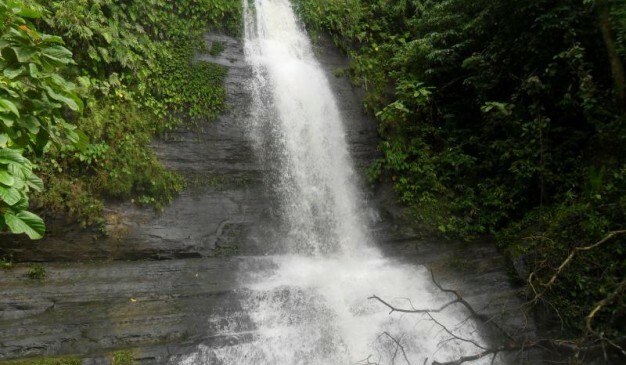 b) From Toidu Para, it’s around 2.5-3 hours of walking to reach at the Lower falls/Toidu Jhorna-1 (তৈদু ছড়ি ঝরনা-১). This path is slightly difficult. It is possible to move from lower one to upper one easily. But it’s slightly difficult to move from upper one to lower falls. 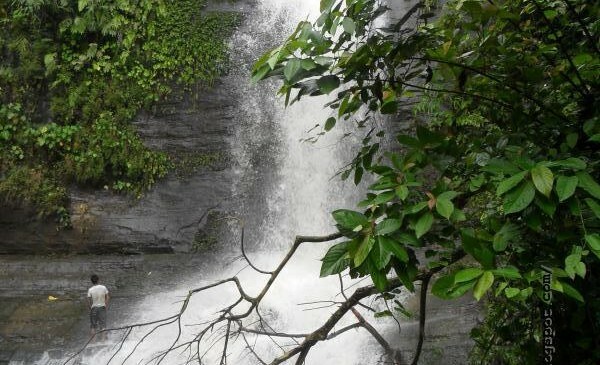 So if you plant to visit both the falls in same day, then visit the lower one first. I mean the (b) first, then climb to upper one. And return back using path (a). 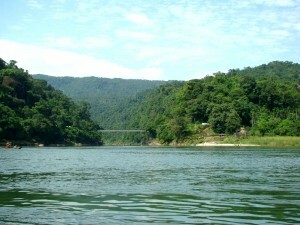 There are two ways to get in Khagrachari, both by road: Direct from Dhaka via BaroiarHat or from Chittagong. A number of non-stop coach services are available from Dhaka (e.g., Shanti Paribahan, Soudia, S. Alam, Eagle and ShamoliParibahan). Gabtoli, Saidabad, Komolapur and Kolabagan are the bus stand name in Dhaka where you can get bus tickets. Bus fare was about 520 Taka (as of 11-May-2014). 1. 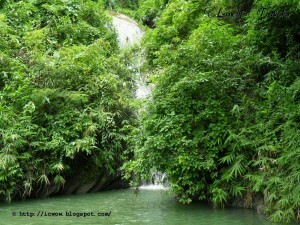 Pajatan Motel (beautiful river view): Double bed A/C – Tk. 1,500.